Getting a successful trader to give you an open door to their methods and strategies is rare. This is one of those rare insights. Adam Grimes is a successful trader and in this audio and transcript, he gives us a direct look at how he makes trading decisions each day. Listen in as he describes exactly what he monitors to find money-making trades. You can follow Adam's blog at here and you can also follow him on Twitter @AdamHGrimes. One of the criticisms that I hear about books, blog posts, or trading courses, is that they don't tell people exactly how to execute. They don't hold your hand and say, "Here's where you should be pulling the trigger." I'm going to explain how to do that in detail today. I think that criticism is partially justified. It's also partially wrongheaded because the answer truly is, and this is an answer that, when I was learning, I would have found very unsatisfying, in fact, it's an answer I got a lot. The answer is, "it doesn't matter." I can remember being told that. I would go to somebody, and I would say, "I'm looking at this. Should I look to buy on this dip? Should I buy the breakout? Should I just buy in the pattern? Should I wait for the pattern to fail and then, possibly, recover and buy?" The answer that I got time and time again was, "Well, it doesn't really matter." To me, as a developing trader, that sort of gave me fits. I thought, first of all, do these people have secrets? Is there something that someone's not telling me? I can say with assurance, now, no, that's not the case. In some cases, you even wonder, "Does this actually work? Is there a way to do this?" What this really is about is about identifying the potential, identifying the latent potential in the pattern and then, to a great extent, how you specifically execute around that does not matter. There are a few things that do matter, and we'll talk about that a little bit later in the podcast. First of all, just a very, very quick review, 20-second review, of the last week, what are our assumptions, as we begin this? Whenever I look at the market, the first thing I assume is that most of what I see is garbage. Most of what I see is, or very well could be, random crap, and I can't tell the difference. I don't have any way to tell the difference. Now knowing that in a way is very, very liberating, because I also know I'm going to be wrong a lot. I think that's one of the things. People talk about the right mindset for trading, the right personality type for trading. In reality, many different types of personality can succeed at trading. Maybe the one thing you have to really be comfortable with, in whatever style of trading, is you have to be OK being wrong. There are traders like me, who will be very, very fast to say, "I'm wrong." I can say, "I'm getting into this trade, because of point one, point two, point three, point four, and because of this pattern, and the way this related market. I have a high confidence of getting into the trade. OK. Figure out my risk, here's my position size, and I'm in the trade." If the market doesn't act as I'd hope, pretty instantly I'm, "OK. I'm wrong. I'm out." That's very easy. That's very easy for me. It's not a normal way for people to think. to buy more, and they're going to buy more, and they're going to buy more, or with stock traders more often, is short and into a boom market.They keep shorting, and they keep shorting, and they get shorter, and shorter, and shorter. Then the market makes a little move in their favor, and what do they do? They take off the bunch with the position, and they poke some profits, they reduce some risks. This is part of the skill, where many traders can be wrong for extended periods of time, but they still know that squeal point. They know when it's time to run for the hills, when it's time...get out, while the getting's good, as the saying might go. However this works within your psychology, you got to be OK being wrong. This is where the math for me is very liberating, because I know that the market is so random. I'm just going to be wrong. I can't be emotional about being wrong. Now I'm a human, more or less, and definitely you will have strings of losers, and you also have strings of winners. Those do affect you psychologically. I would like to say they don't. I'd like to say, that I could trade with perfect voken and emotional detachment, pure logic. The reality is we don't do that. Pretty much everything that happens, everything unusual, extreme like that that happens, whether it's a string of winners, or a string of losers, nothing is encouraging for me. There are traders who will have a lot of winners, and they'll get ecstatic. They'll think, "Wow. I'm eight winning trades in a row. I'm a genius. Let's size up." For me, I always get a little bit more fearful at that point. As many of you know, I published a research product. We have many clients who look at our stuff and can take our trading inputs in various ways. We definitely go through cycles where it looks like I can do no wrong. Like every trade we call is exactly right. I'm always around Waverly. I'm always the voice of reason that says to everybody else in the firm, "We're not this good, nobody is this good. We look like complete geniuses, but really, it's just the intersection of probability making us look really smart for a while." The same is true, there will be extended periods of time when you have strings of losers. You just have to tell yourself, "This is why you got to understand randomness and strings of winners and losers." And say, "OK, this is my sixth losing trade in a row. Here's another setup, what do you do?" What do you do? You take the trade with proper risk, you manage the trade properly. Because it's all random garbage bashing you around. Another interesting thing, this is something that I don't think I've really been able to articulate. To me, what I'm about to say is a very profound observation. At least I think so, but haven't really resonated with a lot of people. You have winning trades and you have losing trades. Maybe I even discussed this on one of the podcast episodes. Imagine that you're losing trades, why do you lose? There are a lot of reasons, but let's just separate those losing trades into two categories. One is, it was just random. "The market was moving randomly and happened to show me the pattern that I thought I was looking for. And I took the trade." But there wasn't really an imbalance driving that. "It was just a random setup and I had a losing trade. It was nothing more than a coin flip because I was in a random situation." Then there's the other category of trades which were set up by some true market action. "There was truly an imbalance in the market. I took the trade, and the pattern didn't work out." So your losing trades are some conglomeration of those two categories of trades. There is no way to tease them out, which maybe it's why I say this and people like, "OK, move on. It's just interesting philosophical stuff that isn't even interesting." They're useful. If you could somehow separate out those truly random trades, I imagine what you would find is that the trades driven by actual market dynamics have a much higher win ratio. So you have your 50/50 trades that are just noise, and then you have your real trades. Some of which are still going to be losers, of course, nothing works all the time. You just never know, there are all of these unknowns. I think a lot about randomness, I think a lot about how probability and randomness intersects to my psychology. The end result is, more and more, it drives me back to the idea to keep me humbled, how much I know about the market which isn't really that much. How do you execute? In actual application, what I would do is I would wait for the market to make a big move. That is the market tipping its hand. How do you quantify big move? There's a lot of ways. This is a case where moving averages and bands can be useful. Personally, I like Keltner Channels. Bollinger Bands are probably more commonly used. There are some other ideas, but basically, what these bands do, if you don't know, is you have a moving average which is just the average of a period of prices maybe looking back over a week or a month or year, whatever. It doesn't matter. Then, you're going to put bands above and below that average. As the market becomes more volatile, as the market bounces around more, those bands will expand farther from the average above and below. As the market becomes quieter, the bands will tighten up closer. This is a reasonable system because it reflects and respects the volatility in the market. But you have to realize, we're still making some decisions. We're still imposing something, some parameters on the market. How long is that moving average? How long is the period over which we're calculating volatility? How are we calculating volatility? How are we adding or subtracting it to the average? There are several ways to do that. In most cases, we multiply the volatility by some factor, whether it's two or three or whatever. Does that really make sense? For instance, one of the common things that's out there, people talk about you use Bollinger's, two or three standard deviations, and then they go back to the statistics textbook rules of thumbs for the percentage. It's not going to even say the numbers. For the percentages, that should be within two to three standard deviations. The problem is, the market is not at all normally distributed, and particularly what Bollinger's measure standard deviation of price, not standard deviation of return. The whole thing is, I don't even have a word for it. The whole thing is a little bit odd, but we're still...you have to make some of those decisions. In practice, I like Keltner's. It's at two and a quarter average ranges above and below, a 20-period exponential moving average. This is not all unique to me. A lot of people use this tool. Perhaps Linda Raschke has probably done more than anybody else to popularize this, but it goes back to the '80s. Some of the very first charts were published, had tools like this. Keltner general idea goes back to the '50s. It was a little bit different, but a grain trader uses this similar idea. A lot of people have been doing this. There's no particular edge here. If you have properly calibrated channels, they'll tend to contain across all different timeframes, roughly the same percentages of prices. The numbers I just quoted you, contain roughly 85 and 90 percent of price at action. What this tells us is when the market pops outside the bands, the market's made up unusual move. It's a move we should probably pay attention to. If you read my work, I'm a little suspicious about moving averages. The reason is, because when we actually do statistical test, moving averages are complete garbage. If you don't like that statement, I'll tell you very quickly, some of the research I've done is to look at when price engages a moving average, and to look what happens after price touches the moving average, and doesn't look different. There are a lot of ways we can answer that question with different. Basically, does moving average provide support? In some ways you could do it. Let's say you have a market above a moving average. The market comes down and touches the moving average, and bounces off at the moving average, or comes down and touches moving average, and you catch it before that bounce. Then, you look at price action after that, and you say, "Does that look somehow different? Or, is it just business as usual?" It's such in a moving average actually an advantage. different things. People talk about these special moving averages. "Oh, firms watch." What are firms? Firms watch the 50-period moving average. Institutions trade off the 200-period moving averageYou turn on the television, everybody, every technician is talking about price coming down the moving average. It's just garbage, because you find the 200 looks like any other average. If there are special averages, you can't have something that is both special and also invisible in the data. If the 200-period moving average does something, then we have to be able to see it in statistical test. At least in the work that I've done, I don't see it. However, there is still value to an average. The idea is, rather than being a precise line to the middle of your bars, it is this fuzzy, big area that's roughly the center. It's the emotional center, if you will, the comfort zone of the crowd. Just to have an idea of, is a market near its average price, or is it extended? That's one of the questions bands can answer very well. Is the market extended from its center through the bands?One of the things that I would look for, whatever bands you're going to use, just look for the market to make a significant move from the moving average. That's the first thing that I would look for. Again, as I said earlier, sometimes it's just going to happen. If you look at random price data, you generate random price bars. You'll find sometimes, there are large moves. Just the way it works, but you're safe to make the assumption when you see a large move in the market. There is something driving that. This should catch your attention to look for a potential trade. Once you have that large move, then the thought is, what do you do with that? First of all, you have to decide what context you're going to trade in. Are you going to trade in a mean reverting context? Do you expect that move to be reversed, or do you expect it to continue, and does it matter? I have a note here as I'm looking at my notes. It does matter. With proper trade management, you can make the argument that it might not matter so much. We'll talk about that in a moment. As you know, if you get in a market at any point, long or short, in most cases, you can make money on either side, if you have the benefit of perfect hindsight. It is possible with the fluctuations the market to make money long or short, at pretty much any point over most timeframes. You're going to have some places where you're short and it goes up, of course, over a large sample of trades. This is why your trade management style is also very, very important. Let's divide this up. How do you know if you're going to trade the market on a momentum mode? One thing simply is, you look at what the market has done. We're going to talk about what we need to know as what's the market going to do in the future, but the only information we have is what the market has done in the past, and is doing up to this point right now. Then we're looking at the future. Up in the recent past, is the market trending or is the market flat? Is the market chopping back and forth across a moving average? Is that moving average relatively flat? Again, I'm not a big fan of moving averages, but this is a way, particularly that developing traders can use to read market action. Is the moving average sloping in one direction? Is price mostly on one side of the moving average? Do not get into this idea of it that the moving average is providing support. Don't get into the idea that you're going to buy at the moving average. Don't get into the idea that, "Oh, every time prices touch the 50-period moving average over the past 24 months, it is bounced with it." It's all garbage. It's just statistical noise. If you generate random data and random averages, some play that you're going to see that. If you don't see that, then just please excuse my rant, and just take my hand. Take it for what it is. Don't get suckered into that idea of you're going to be bind at a moving average. It is price mostly on one side of a moving average. Don't get too much into the details. If the market is trending, then the trend is likely to continue. There are some things, some variations of patterns. I've written a lot about this. They can show that it's going to end, but really, what we're looking for at the market's been up trending. It makes another sharp move up. We can look to buy somewhere in the next consolidation, somewhere in the next pullback. That's your answer right there. If the market has been flat, and all of a sudden makes a spike up, more often than not, that spike's going to be reversed. The market's been trending up, and makes a spike down against the trend, chances are that spike is going to be reversed. There's your answer to trade with mean reversion or with momentum mode. Now, what happens after the spike also, is important. 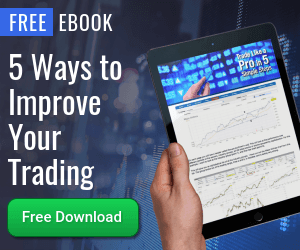 Depending how you trade, you may have a winning or losing trade by this point, but it's also important to be able to read the ongoing development of the market. In that situation, market's been trending up, makes a spike down. I just told you that we would expect that spike to be reversed, rather quickly. What if, however, the market makes a spike down, and then keeps going down, down, down, down, down. If you bought that spike, you had to stop, and you have a losing trade. We don't care. We'd move on to the next trade. It's random. You don't care. You can't care. However, that tells us something about trend integrity. It does. What if you're also at the situation, where the market was trending up, has that spike down, you buy, and instead of getting a good recovery, you got a very slow recovery. Let's just make up numbers. $50 stock, which normally fluctuates, let's just say five points, has a five points. Let's just say a weekly range, and let's just say, has a single day drop of eight points. Now, there's a big difference, if that eight-point drop is recovered over the next two or three days, and you're up four points and five points to new highs, or if the next day, we're hanging out around within a point of that decline, and then maybe we go up a half point. Maybe we're down half point. Maybe we're up a point. Maybe we're down a point and a half. You're bouncing around, and you can visualize that. You're bouncing around near the bottom of that range. That's a very different situation. That's a market, where mean reversion has failed. Now, that tilts the scales in favor of another sell-off, because you have that strong momentum down. You had the consolidation, and then you have the edge to the market, at least making another attempted sell-off, which might be absorbed into the higher timeframe. The trend continues. You have to read this ongoing story like that, but that's how you think about it. As you think about mean reversion just for the moment, one of the answers here is, you trade smaller. When I say trade smaller, your profit targets tend to be smaller. Your stops generally continued to be closer to the market. I would also encourage you. Maybe this is wrong, but one thing that's worked for me is, to trade this of smaller size, because I know if there's every situation where I buy a market, and I'm risking X, and then I come in tomorrow and it's gapped, four X beyond my stop, and I have a four or five X loss. That's going to happen, by the way. If you think you're never going to have a larger than one hour loss, you're wrong. You are. You absolutely are, and you also have some stunning losses, sometimes. Where that's usually going to happen is, when you're buying a trend reverse, or when you're trading mean reversion. When you fade a spike at the end of a trend, and then there's just gaps and goes the next day. You have some trade management issues around that, but it doesn't happen. To mitigate that, I also trade smaller risk on those. It reduces the overall volatility. It also reduces the overall profitability. The optimal decision mathematically is probably not to trade smaller, and just to accept those larger losses, because you are going to have some large wins. You'll definitely have. When I think back over the really standout, good swing trades in my career, a lot of them were bind over extended markets, or shortened over extended markets, and then sometimes, they had huge profits within space. I'm going to say days, but depending how you trade. It could be five-minute bars. You have very, very quick reversals there. You have some offsetting profits, too. How do you actually execute? Going back to the criticisms that I hear of my work, there are several books. I'm not going to mention the authors. Most of you are listening know who I'm talking about, who published these books that have page after page after page of charts with numbered bars, telling you how to think, what to do in each bar. I did a little bit of that in my book. I debated doing more, and I decided not to do it, because to some extent is disingenuous. Anybody, I can train somebody for two or three days, and they can generate a book that looks like it was done by a professional trader. It's so, so, so easy to create those stories, if you will and retrospect. I'm not saying that all of those books are done like that. Some of them may have been done in real time, but one of the things the trading community is starting to see, and raise your hand if this is true, is that, that type of careful bar by bar instruction, while it's interesting, while it's fascinating, while it's seductive, while it seems to be educational, does not carry you through the application quite so easily. You can look at hundreds of charts, and read somebody's reasoning for each price bar, be able to replicate that reasoning, but then when you're faced with that hard right edge of the chart, and you're trading in real time, and you don't know what's going to happen on the next bar, it's a very, very different situation. Maybe there's value there, and helping you to read market structure, but I don't really think that's difficult to do that. I don't think you need to look at hundreds of chart. What is very helpful for me is this mindset. First of all, understanding the potential on the trade. I have told you how to do that concretely. I have given you, and you can adapt this to any timeframe. If you're in trade and trading, there are some other tendencies around. The high or the low of the day, previous day's high or low, all time highs and lows. There are different things that may just give you an additional edge, but this core idea of being able to look at the market and to pursuit into mean reverting momentum. When I say that, we're looking at the probability of the near future. That's the scale. That's what you need to be able to do. It is a little bit subjective. It is a little bit soft. It is definitely inductive. There may be a little bit of intuition involved, though in reality is you can quantify a lot of these more than you think. If you have done that, I don't care how you execute. It really doesn't matter. I said that is a criticism. If you listen to the previous podcast, I said that there are people who said, "All you got to do is create a trend following and a mean reverting system, and then just know when to trade them." It's silly, it's trivial to create those systems. If you're in a trending market, you simply buy or short. You don't care. In a mean reverting market, you fade. You don't care. It's not difficult to do. Trivial is the word. It is absolutely trivial. However, what I've just given you is a way at least for short-term traders and for swing traders to be able to separate those environments and to say, "Do I apply my going with, or my going against system? My going with entry points, my going against entry points." Then, there's some concrete ways you can do it. If the market has made a move up, and it's now consolidating, and you're looking to buy for another move up, how are we actually going to execute that? Well, some ideas. Despite the breakout of the previous bars high, why not? By a test on a lower timeframe and some kind of support, by a test on your trading timeframe, if fail your test around the previous low, by some depth that is quickly recovered, by the first close that closes above the previous bars high, executing on the previous close is something that probably more swing traders should do, or could think about doing. In most cases, it's possible in the open to get some price near the previous close. It really doesn't matter. A lot of this is personal style. You do need to be consistent. You need to work within the volatility, the marker. We'll talk about that a little bit more. If you're trading mean reversion, market makes a quick spike up. You expect it to reverse. How do you execute? Well, we don't care. Do some kind of a lower timeframe breakdown. Just short the bar, when it closes, put a stop in somewhere. Wait for a dare to consolidation. Short the breakdown below that previous low. It doesn't matter, once you've identified the potential. Identifying the potential is really where the edge is. That's where the skill is, and that's where the experience is. Doing this all within the rapport and the mindset, you're going to be wrong a lot, because this is all pretty random and fuzzy. Anyway, that's psychologically big part of the answer. What does matter? It's having that context. Having that context does matter. Having the discipline, the psychological focus correctly matters. Having correct risk, and that correct risk has two pieces. Its correct risk is a size of the market move. There are a lot of people talk about trading with very, very tiny stops. I've heard a lot of people talk about that. Maybe it works for some people. I've never seen it. I've never seen anybody be successful with very, very tight stops over any significant number of trades. You can always point to one trade. Gosh, I short it there. I put my stop one tick below the Fibonacci level. It's really hard me not to swear on this podcast, sometimes, [laughs] but I manage. You just have to trade with some type of mindset that respects the reality and the volatility of the markets. You have to use reasonable and correct stops. The other part of your correct risk is that you're risking the correct percentage of your bankroll, of your trading capital. You can't be going into trades risking 20 percent of your account. You can be wrong two or three times, and you're out of business. It also doesn't make sense, if you are a working trader, to trade risking maybe one-tenth of a percent. There's some happy zone in there that depending on the characteristics of your trading style, and your timeframe and your market make sense for you. For most traders, it is far, far less than five percent. It's usually somewhere than I've heard of one to three percent. Again, that varies, and certainly depends on a number of factors. Probably, the most important thing is how you manage trades. Trade management decisions matter much more than entry, where you put in your profits, where you put it back all ties together, where you put in that initial stop. What you going to do, once you're in the trade, and are you going to do it for the correct focus? I hope that answers some of those questions, I've been getting some few questions about, where you actually pull the trigger. I wanted to give you some thoughts about that, and why it doesn't matter, but just saying, it doesn't matter. Do whatever you want. This is not the best answer, so I hope I've given you a better structure to go around that. If you have not signed up for my mailing list, please go to my blog, AdamHGrimes.com. In the upper right hand corner, there's a place to put your email address. I send a couple of emails a month. The publishers of this site cannot and does not assess, verify or guarantee the suitability or profitability of any particular investment. The risk of loss in trading stocks, ETFs, and index futures can be substantial. You should therefore carefully consider whether such trading is suitable for you in light of your financial condition. You bear responsibility for your own investment research and decisions and should seek the advice of a qualified securities professional before making any investment. As an express condition of using this site, you agree not to hold Viper Report, or their employees liable for trading losses, lost profits or other damages resulting from your use of the information contained on this website in any form (web based or email based), and you agree to indemnify and hold Viper Report and their employees harmless from and against any and all claims, losses, liabilities, costs, and expenses (including but not limited to attorneys' fees) arising any violation of this agreement.